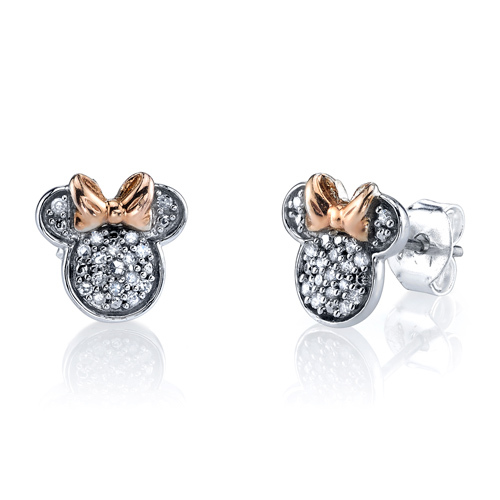 Disney 1/10 ct tw diamond Minnie Mouse post earrings are made of sterling silver with pink gold bow accents. Earring size: 10mm x 10mm. Weight: 1.39 grams. Officially licensed by the Walt Disney company. Import.